Ever thought something along the lines of, “My cat’s ears are hot — is he sick?” Anthropocentric creatures that we are, humans tend to assume, regardless of context, that our own baseline experience of the world is some kind of universal standard, and that any deviation from it is strange, problematic or worrisome. For example, in an idle moment of couch-sitting, you’re petting your beloved cat and start mindlessly fondling the cat’s ears. Suddenly, you’re thinking, “Man, my cat’s ears are hot!” You’ve never really noticed that before, and now those hot cat ears are all you can think about. Cats are warm creatures. No cat owner or fan of cats would dare to deny it. A cat’s natural body temperature is several degrees hotter than any human’s, and anything up to 102.5 degrees Fahrenheit (39.2 degrees Celsius) is considered normal. When playing with cat ears, you are bound to make note of the contrast between what you consider normal and what is typical for the cat. So, if you’re sitting here wondering, “My cat’s ears are hot — is it an issue?” let’s take a closer look. 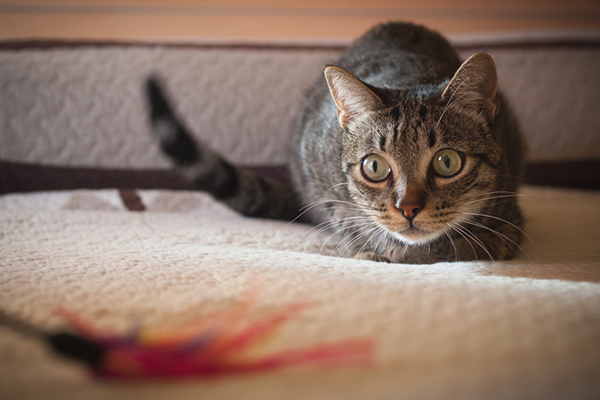 Are your cat’s hot ears normal? Photography by Fscotto74/Thinkstock. The first thing to know when thinking, “My cat’s ears are hot” — the temperatures of cat ears fluctuate based on the animal’s surroundings, which is perfectly normal. 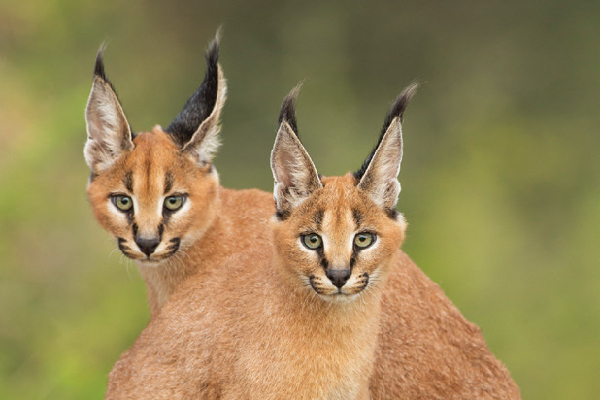 Unlike most of the surface area of a cat’s body, cat ears tend to be thin and exposed, protected by neither a great deal of fur nor by body fat. Their noses are also notoriously changeable. During warmer times of the year, vasodilation increases blood flow to these areas, the better to release excess heat from the body. During colder periods, vasoconstriction does the opposite to conserve heat. You may think that indoor cats are subject only to the whims of the thermostat, but any cat perched near a window in the daytime is going experience a temporary hike in both ear and nose temperature. If we look to colorpoint breeds like the Siamese, we can see that our baseline perception of warmth is very different to that of our cats. For these breeds especially, their experience of heat is written on the body. You may know that the unique coat markings of color-pointed cats are expressions of a form of partial albinism, and that all specimens of these breeds are born with white coats. The patches of color develop as these cats mature, and are darkest at the coolest parts of its body, typically the ears, nose and tail. Do those warm cat ears mean your cat has a fever? Some humans might immediately think, “My cat’s ears are hot — does my cat have a fever?” Are cat ears reliable gauges for a cat’s general health? In cats, even a standard fever, from 103.5 degrees Fahrenheit (39.7 degrees Celsius) and upwards, is usually nothing to worry about in the short term. The heat increase experienced during a fever is the body’s natural way of fighting infective agents, like viruses or bacteria, and kickstarts the immune system into action. A cat with a “normal” fever will seek to isolate herself in a cool place — unlikely to be your lap — and remain still with her body splayed out rather than curled up. 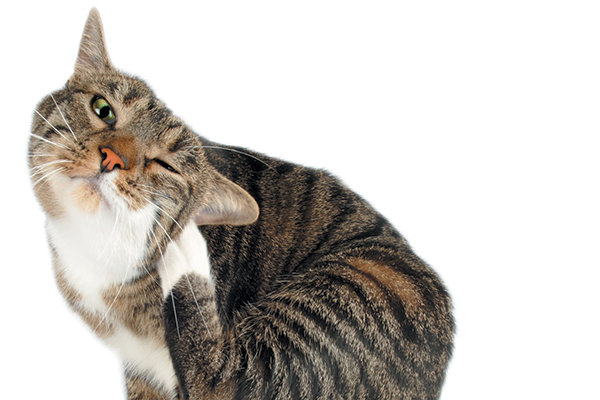 If a cat’s ear temperature is a source of concern, feel the stomach and underarms. If they, too, are hot to the touch, the cat may have a fever, since a cat with a true fever will experience increased temperature across the entire body. Seek veterinary attention if you observe extreme total body heat for more than two days consecutively. If this describes your cat’s current conditions, you’ll probably have noticed a number of related signs and symptoms, any of which will be more telling than ear temperature alone. Most cat owners spend enough time with their cats to be familiar with their routines. Is the cat eating less, or not finishing her food with her normal alacrity? Does her heartbeat seem quicker than usual? Is she not only hot, but also shivering? Any combination of these symptoms points more conclusively to a potentially dangerous health issue. 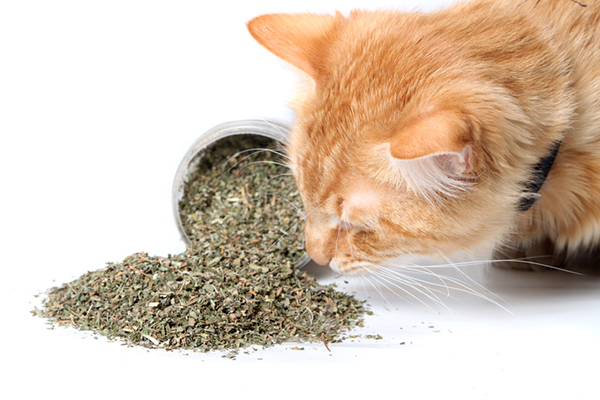 Fevers caused by viral infections in cats may subside as quickly as they arise. Fevers caused by secondary bacterial infections are usually accompanied by wounds that you can easily observe or can be indicated by unnatural areas of swelling if they are internal. If your cat has experienced feverish conditions four or more times over the course of two weeks, the cat may have what is referred to as a fever of unknown origin. 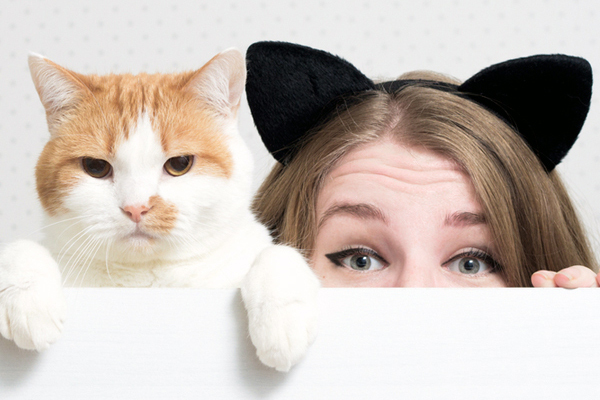 Make careful note of any and all changes — behavioral, physical and otherwise, including the first time you noticed hot cat ears — so that your vet can begin the difficult process of identifying the problem. Can temperature signal other cat ear problems? Wondering, “My cat’s ears are hot — does he have any sort of ear problem?” Where cat ear health is concerned, there are always more obvious signs of disorder and disease than hot cat ears. The most common cat ear issue is otitis externa, or an infection of the outer ear. 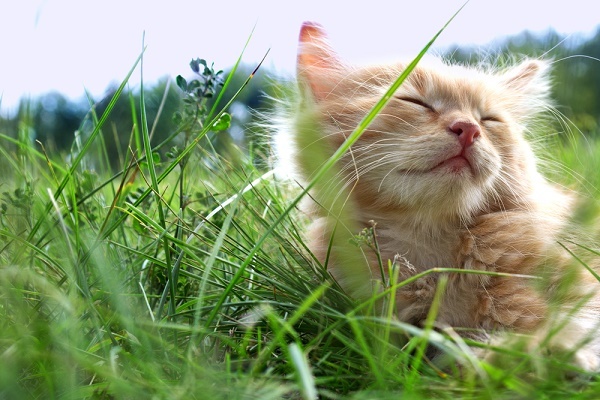 Cat ear infections are most frequently traced to two sources, ear mites and yeast infections, with mites being the problem in the majority of reported cases. Ear infections may present with ears that are warmer than normal, but this can be attributed to the cat paying them more attention than usual. Abnormal amounts of scratching at an ear with paws, or intently rubbing them against furniture, will necessarily raise their temperature and cause reddening. Whether the source of the infection is mites or yeast, these microscopic organisms wreak havoc only when conditions are optimal. Excessive buildup of ear wax reduces ventilation and raises the internal temperature of the ear canal. The pinna, or the outer part of the ear that you see and touch, may become warmer as well, but it is the heat inside that permits mites and fungi to flourish. Symptoms of an ear infection more alarming than warmth include dark-colored discharge and a strange, pungent smell. Cat ears are fascinating organs. Heavily muscled in spite of their delicate appearance, each is capable of moving and turning independently of the other. Subject to the vicissitudes of their environment, the external temperature of the pinnae varies wildly. A cat can have warm ears one hour and cool ones the next. If the heat emanating from one or both cat ears is a cause for concern, don’t panic. Look to the whole cat before you call the vet. Discoloration in and around the ear canal can alert you to serious issues, along with marked shifts in behavior and unusual odors. Thumbnail: Photography by Margarita Nikolskaya / Shutterstock. I have 2 cats, one is 18 and one is 16, they both have cold ears – all four seasons (in EU). The third cat few neighbors have adopted, including me, she is 4 years old, sterilized, she has really hot ears, but she seems to be fine otherwise, except she does not want to stay at one house, she wants to have more residences – we all love her, but as she is not supervised enough, it is difficult to see if there are some other health issues. She is not totally domesticated, she has strong will and it was difficult to catch her to get her to the vet for the first time, I’m not sure we would succeed the second. When my oldest cat had hot ears, he had mild infection and very high pressure. So I’m concerned a lot about her hot ears. my 12 week kitten feels hot all over his body but his ears are quiet hot to. He’s eating fine and running around and playing. He has been sneezing a little and meowing a bit should I be worried. Shortly after we were adopted by our cat Avi, we had him neutered and the same day he came home, he vomited and when I felt his ears, they were burning hot. I took him to the vet and sure enough he had an infection. He received antibiotics and pain killers and by the next day he was himself again. I was concerned several times when I felt the ears to be cold and was wondering if that’s normal or the cat’s feeling chilly, similar to our hands and fee getting cold. I have had a couple of ABY’s who had what I’d just call “Hot Ears”. Never was able to connect it to any particular condition, either environment or social. It just was! I was wondering if the my cats ears are hot because she had an parasite called coccidiosis? She just got done with her meds, taking her back to the vet to make sure it’s gone. She seems happier eating playing etc. Thanks for reaching out! You are doing the right thing by taking your cat back to the vet. We hope your cat feels better!